Locally, our United Methodist Women prepare and serve four Sunday noon meals for the Mercy Center in Anderson that provides counseling, meals, activities, and worship opportunities for the homeless in the downtown area. Monetary contributions are also given. Clean Start is another organization that provides showers and laundry services as well as clothing needs to Anderson's homeless. Clothing, laundry supplies, and personal items are collected and delivered to their facility each month. At Christmas our UMW circles spearhead the collection of teddy bears and other snugglies to gift to nursing homes, rescue squads, to children at the Sunshine House, and the American Red Cross. 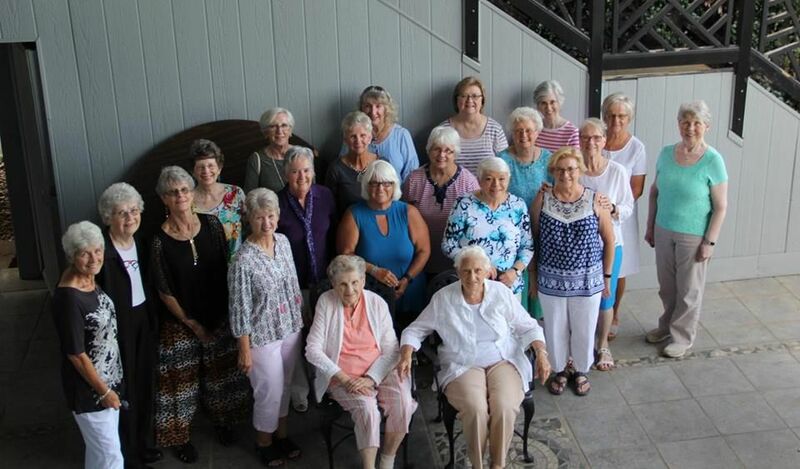 United Methodist Women at Zion support many organizations by giving to the United Methodist Church, including South Carolina projects like the Wallace Family Life Center, two Bethlehem Centers, John's Island Mission, the Killingsworth Home in Columbia, and the Tracy Jackson Literacy program. In times of crisis globally or nationally we collect materials for health kits and school supply kits, pack them, and send them to flood victims, earthquake survivors, refugees or victims of other disasters. United Methodist Men are a key institution throughout the United Methodist Church. The Zion United Methodist Men meet on the third Sunday of each month at 8:00AM in the Zion Christian Life Center (CLC). We sponsor local Cub Scout Pack as United Methodist Scouters. We have four annual functions: the Chili Cook-Off, the Ladies Banquet, the barbecue supper for the Zion Family Camping Trip, and the annual Zion Fireman's Appreciation Dinner. Our fundraising and love offerings have sent boys to summer camp and provided Christmas presents for families in need. We also provide financial support for our church's missions, Emmanuel's Hammer, Anderson Interfaith Ministries, Lighthouse Ministries, and the United Methodist Volunteers in Mission. Our mission is to serve as a liaison between Zion United Methodist Church and United Methodist mission groups such as Anderson District Volunteers in Mission (ADVIM), United Methodist Volunteers in Mission (UMVIM), United Methodist Council on Relief (UMCOR), and UMVIM Emergency Response Teams (UMVIM ERT). This includes keeping Zion members informed on mission opportunities through these various agencies and facilitating member participation in those activities. Working with Anderson Interfaith Ministries to provide firewood for those where firewood is their only source of heat. Working with Anderson Interfaith Ministries to build wheelchair ramps. Working with Emmanuel's Hammer to build and repair homes for those in need. Providing financial assistance for Zion's Salkehatchie Program. Providing financial assistance for families at Christmas. Yard work and minor home repair for those in need in our community. Salkehatchie Summer Service is a pioneering servant ministry at selected sites in South Carolina involving high school age and college age youth, adult community leaders, and persons of different cultures. They serve in upgrading housing and motivating community cooperative efforts by helping people to help themselves, while providing all participants with opportunities for personal growth and service. Salkehatchie Summer Service is a program of the South Carolina Conference Board of Global Ministries. The minimum age for participation in Salkehatchie is 14 years of age by at the beginning of the chosen camp. Camp lists are usually available by the end of January each year. Camps are held across the state usually beginning the first week in July. There are multiple camps during each week of the summer. These camps can vary in size from 35 workers to more than 175 workers. Campers may be housed in schools, churches, or summer camp facilities. Although Salkehatchie Summer Service is a youth-oriented mission opportunity, participation by adults is essential to the success of the mission. Experience in construction, plumbing, or electrical work is always welcomed, but a willing spirit is invaluable. If one can't participate physically, other means of supports such as donation of materials, monetary donations, and especially prayers are appreciated. Family Promise helps homeless families with children stabilize their lives by accessing the resources necessary to acquire safe, affordable housing. We have served 43 families with 64 children in our Interfaith Hospitality Network (IHN) with three families (7 children) currently in the network. The network coordinates faith-based congregation to provide food and shelter to families for one week at a time. At our day center, we offer intensive case management services that develop family case plans which guide them through the process of achieving independence. Families also participate in our New Beginnings financial education program learning how to budget, spend smartly, and plan for unexpected expenses. These skills prepare them for housing. In partnership with Grace Episcopal Church, our Sunshine Houses provide a home for guests as they start work, pay off debt, and become fiscally stable while continuing case management services with us. The purpose of Kairos Inside Program is to establish the Kairos Christian Community inside prisons by the transforming love and forgiveness of Jesus Christ. There are many ways to participate in the Kairos Prison Ministry serving Leath Women's Correctional Institute. Baking Cookies that will be collected and delivered to the team going inside the prison. **While Zion United Methodist Church currently serves only the women's prison, if you are interested in serving in the Men's Kairos Prison Ministry, we would love to hear from you.